Some links to some videos we hope you will enjoy! This is from the Oregon State University webcam that covers the Memorial Union on the University grounds. 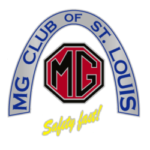 This is the entire video from Saturday July 20, 2013 which captured the entire day of the MG 2013 car show hosted by the Willamette MG Club on behalf of the North American MGB Register. Some adverts or commercials from the British Leyland era. Covers our own MG but also a Jaguar, Triumph and even a Marina as well. This series of commercials was obtained from Ken Smith via Charles de Bourbon. A 20 minute or so video from 1931 that shows how an MGA was build at Abingdon found on the British Pathe web site. Watch it and see – Kim’s run on the tail of the dragon at MG2006 and somehow she managed to get no-one in front of her. Any run I did wasn’t that lucky. Either Gold Wings were in the way or there was a Suburban hauling a U-Haul trailer. Anyway – enjoy! This is Simon’s partial run of the Tail of the Dragon during MG 2012 which was based in Dillard GA. Although not completely clear runs things were much better than back in 2006. Also managed to buy some of the better photos from the dedicated Tail of the Dragon photographers.